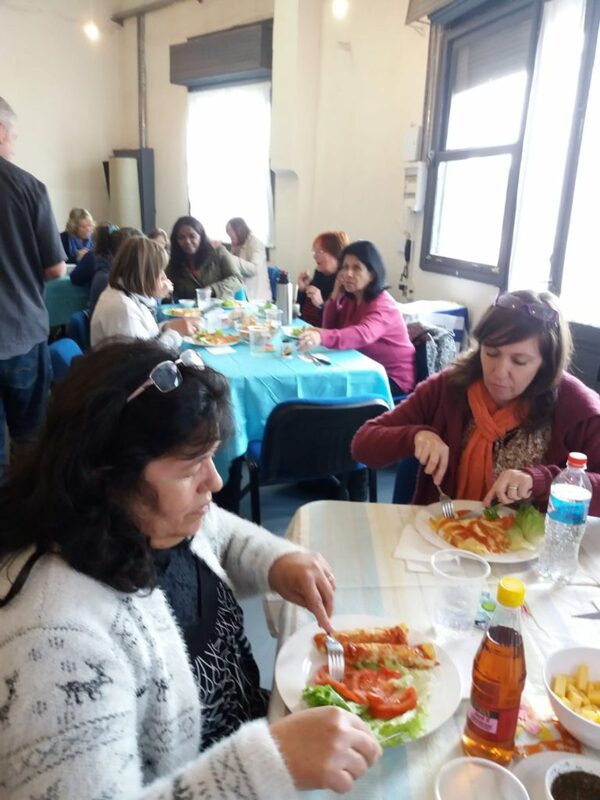 I signed up on the Moms In Prayer website to receive more information, and was put in touch with the director of the ministry here in Uruguay, which in Spanish is called Madres Unidas Para Orar. The director’s name is Lourdes Amado, and she works tirelessly to promote the ministry among churches all over this country. She began Madres Unidas para Orar here in 2012. There are now over 200 schools being covered in prayer. She is a high school history teacher, and is eager to see a revival here like those we read about in the past. Prayer is the key to see an awakening in the lives of our children and in the lives of people all over this beautiful country. So for me it was an honor to be one of the speakers at this year’s conference in Montevideo. 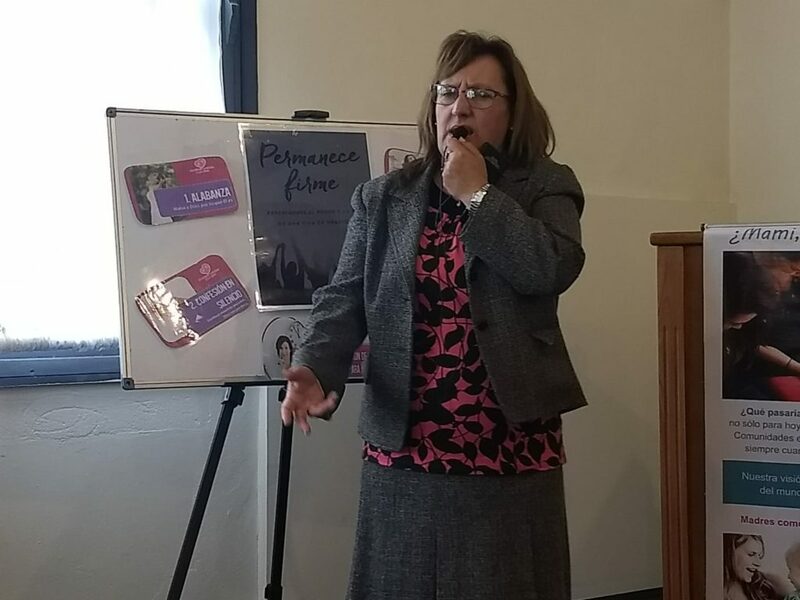 I spoke about intercession, hoping to encourage the mothers and grandmothers to continue being passionate and faithful in prayer, and faithful in praying God’s word for our children. It is my desire that we would see a revival in this parched land through the prayers the mothers for their children! 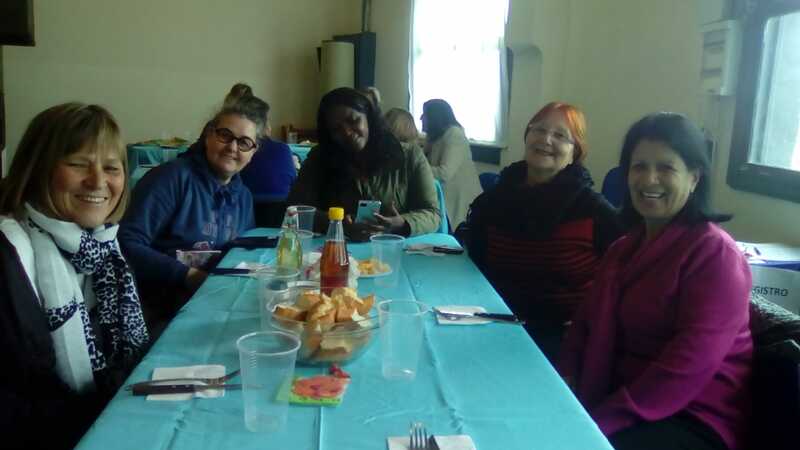 Providentially, at lunch I sat next to a woman (right) who is also a missionary (from Argentina, in Uruguay but planning to go to France) and also a mother of eight children! What a blessing! 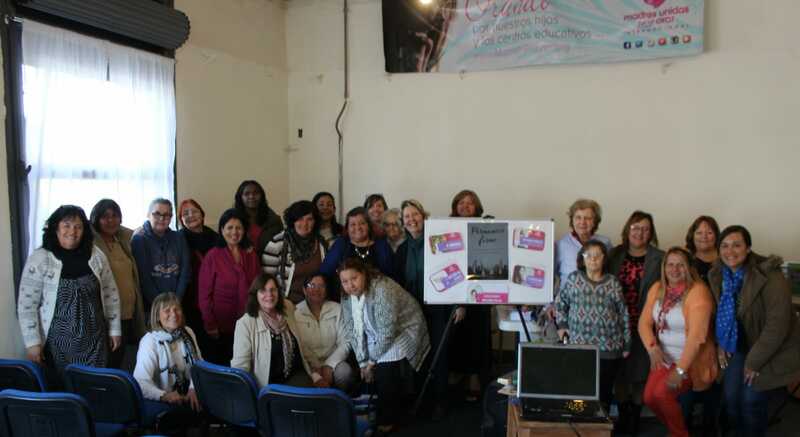 We had women from 5 countries at the conference–Uruguay, the US, Paraguay, Argentina and the Dominican Republic–all mothers who have a passion to pray for their children! 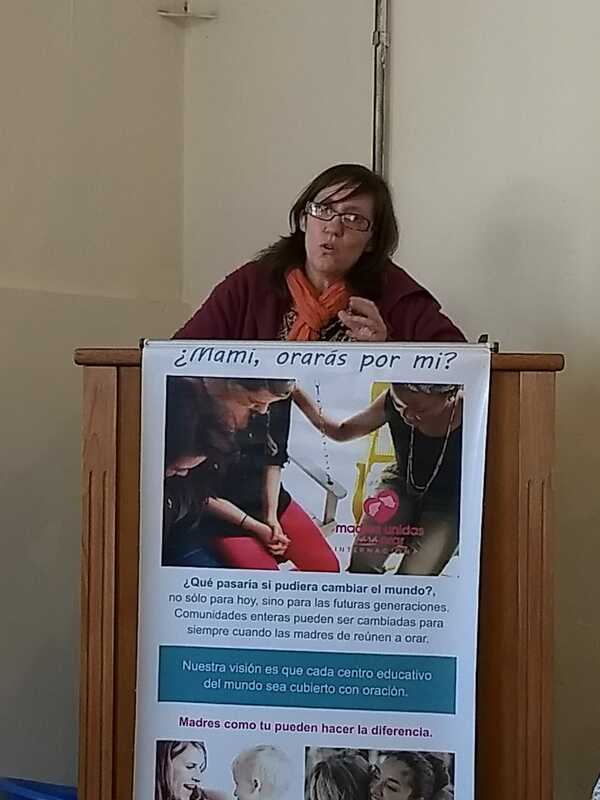 The director of Madres Unidas para Orar (Moms In Prayer) in Uruguay, Lourdes Amado. She organized and spoke at 7 of these conferences in different parts of the country this year with a combined attendance of 235 women! Ours in Montevideo was the last one for 2018. The theme was “Permanece Firme”, “Standing Firm”. 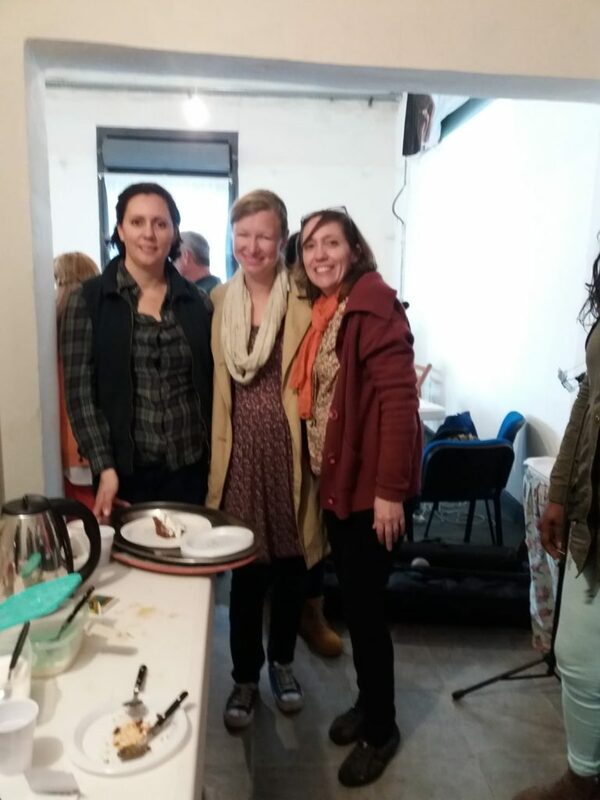 Sharon (middle) organized the lunch for the conference, with help from her friend Celia (left) and a woman from our church, Juana (not pictured). They made classic Uruguayan canelones. It was a blessing to be exhorted to stand firm, praying faithfully for our children and their schools with the four basic steps of prayer–adoration, confession, thanksgiving and supplication, that are the building blocks of this prayer ministry. It was exciting to hear testimonies of how God is working through the prayers of mothers in Uruguay for their children. It was a privilege to pray together with these women.